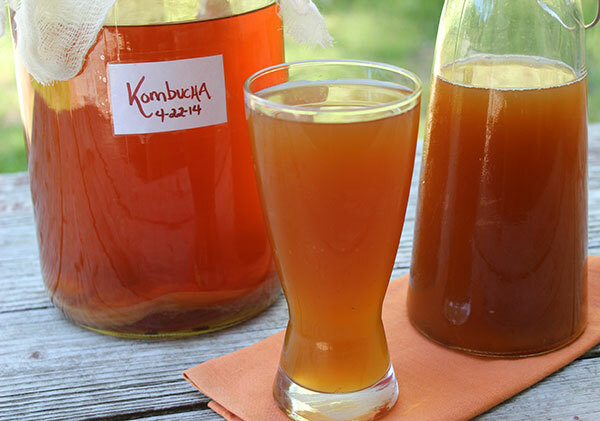 This kombucha recipe we share below is one of the most basic ways to create kombucha. It is a particularly great recipe to start with for those of you new to making this fermented drink at home. While we don't necessarily promote the regular use of caffeinated black teas and refined cane sugar, these two ingredients always seem to produce a foolproof ferment, forming a perfectly soured beverage and gelatinous scoby layer. 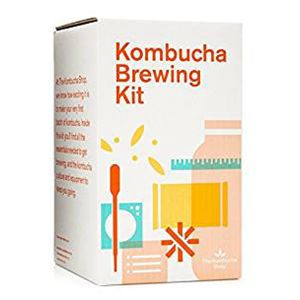 When properly cultured, kombucha only contains small amounts of both caffeine and sugar, usually comprising about half to one-third the level of caffeine as the tea it was made with. The general rule is that after you make 3-4 batches of tea, using this original recipe, and develop a strong mature scoby culture, you can then experiment with herbal teas or other types of tea lower in caffeine content. However, it is commonly recommended to use at least 25% tea from the Camellia sinensis species when substituting other varieties in recipes. The same is also true for the sugars or natural sweeteners you may wish to eventually use. 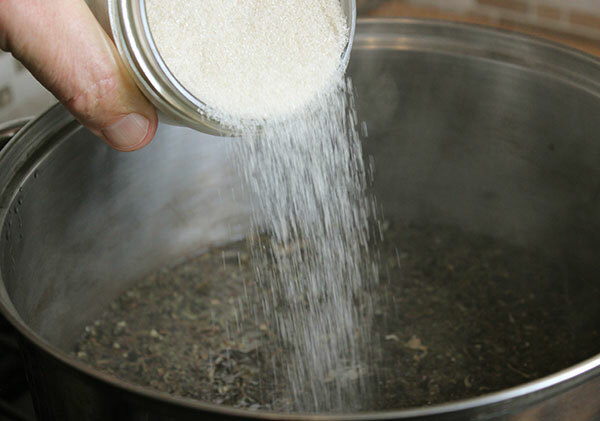 Most of the dissolved sugar does get metabolized into acids during the fermentation process and it is possible to yield a liquid with almost no sugar content. This is not usually the kind of kombucha that is typically pleasant to drink for most people as it is less sweet with a strong vinegar-like taste. Keep in mind that you can also add sweeteners at the end as well, if you prefer a low glycemic kombucha. When you make your own, you also get complete control over the duration of fermentation time not only ingredients incorporated. These are some of the benefits to making your own kombucha recipe from scratch, not to mention the costs you will save from having to buy bottled kombucha at your local market. Although there are now dozens different manufacturers today making commercial variations, these selections can be quite expensive when purchased on a daily basis. If you LOVE to frequently drink it, you can literally make a little less than one gallon for under a dollar after, of course, you've made your own scoby starter. 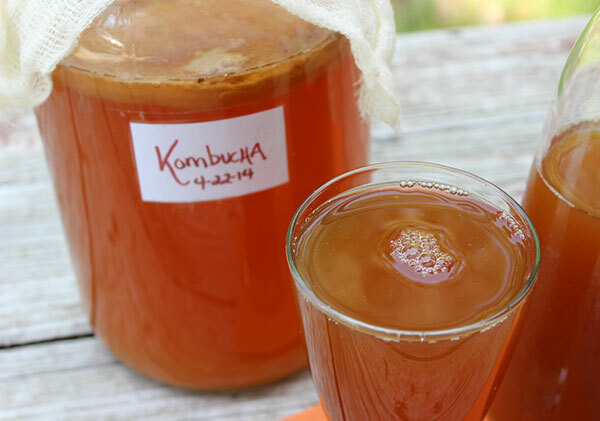 After you learn the basic techniques, you will soon find, kombucha is incredibly easy to make yourself and is just as delicious, if not more so, as any store bought variety. We began our first batch back in the mid 90's when it was more common as an artisan-craft that was spread and shared grassroots-style in local communities. It was considered one of those tasty health enhancing beverages that was very easy to concoct once you had a mother scoby, usually obtained from a friend. Today, making homemade-style varieties is much more popular among a more mainstream audience. 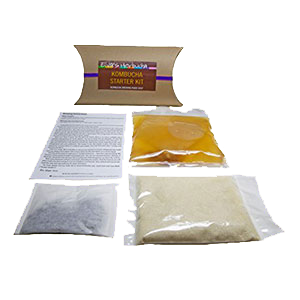 It is also much easier to find active kombucha liquid (obtained from commercial products) and scoby culture starters can usually be purchased online. How is Fermented Kombucha Tea Made? Kombucha is often called a tea because that is how it initially starts out, as a sugary tea infused liquid. After this solution is created and the active kombucha and scoby culture are added, a lactic acid environment is produced which protects against other harmful bacteria when appropriate guidelines are adhered to. This not only includes preparing your kombucha recipe in a clean atmosphere using sanitized equipment, but also maintaining a temperature range between 70-85°F (21-30°C), with acceptable lower nighttime temps. 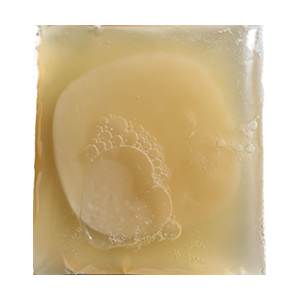 The term "SCOBY" is a acronym for the word Symbiotic Culture of Bacteria and Yeast. It refers to the thick rounded gelatinous mat that is used to inoculate the liquid. 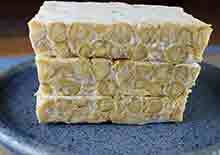 It works in much the same way as other culture starters like kefir grains used to make kefir, koji used to make miso or the Rhizopus oligosporus spore culture used to make tempeh. It is commonly called a "kombucha mushroom", although it is not technically a mushroom species but a blend of bacteria and yeast strains. 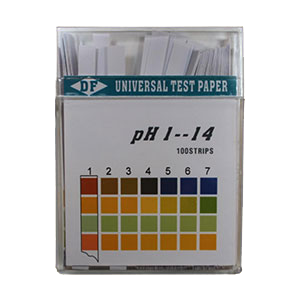 Interestingly, not all cultures include the exact same varieties or amounts of microorganisms. 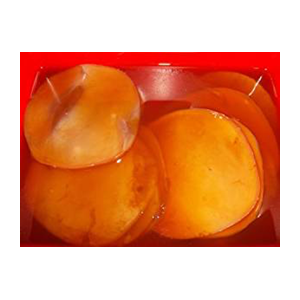 Although there are some possible differences from one scoby to another, most all produce gluconic acid, glucuronic acid, lactic acid and acetic acid. These are by-products of fermentation necessary for creating a sparkling drink high in other nutrients such as enzymes, probiotics and vitamin content. After about a 10 day fermentation period, the scoby bacteria and yeast eat most of the sugar in the tea, transforming it into a refreshingly fizzy, slightly soured fermented beverage. 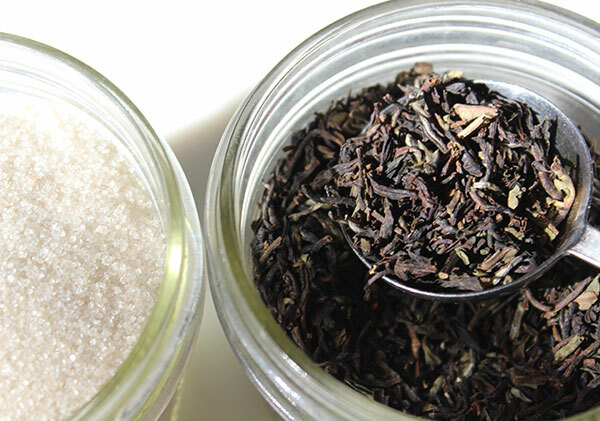 Over time you may wish to incorporate other types of tea and sugar combinations. 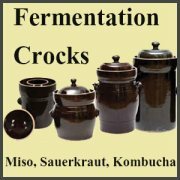 Once you have a strong thick mother scoby, it is much easier to experiment and achieve a successful mature ferment. Again, it is usually necessary to use at least 25% caffeine-rich teas from the Camellia sinensis species when using other selections lower in caffeine content. 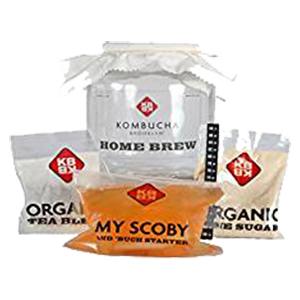 If you wish to branch off the original kombucha recipe and test out using different blends of sugars, it is often best to have another scoby culture set aside in your fridge just in case your experiment fails. 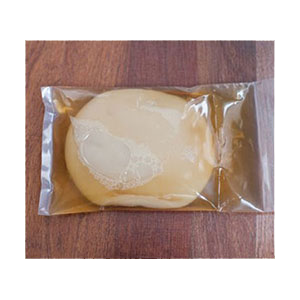 The biggest problem you may encounter when using other sugars it that the scoby doesn't grow quite as fast and only reproduces a very thin layer. This of course means that the fermentation process is also much slower and may take a little longer to fully develop or you may have to begin again using a small portion of cane sugar. 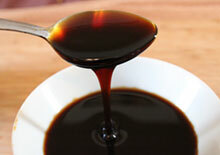 While high glycemic sugars, like honey or maple syrup, seem to work best, we have found that you can use other types of natural sweeteners, utilizing numerous different ratio portions. 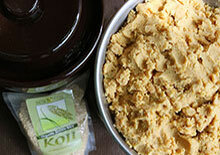 This may include coconut sugar, raw honey, yacon syrup, maple syrup, xylitol, coconut nectar, stevia or agave. 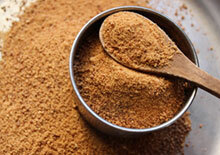 Sugars can also be integrated at the end to subtly increase sweetness if desired. 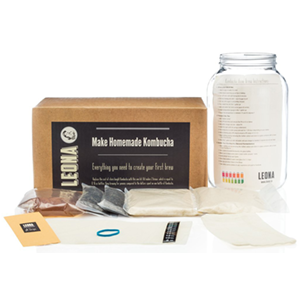 Likewise, to produce a natural carbonated fizziness, you can add any type of sugar to strained mature kombucha and allow it to sit for a few days with a clamped lid. It is best to avoid adding too much sugar content, however, as this may also cause an explosive buildup of gases. If you'd like to add more flavor or nutritional components to your kombucha recipe, this is commonly done at the end of the fermentation period. Different herbal infusions, fruit juice concentrates, tonic extracts or various superfoods, like bee pollen, goji berry juice, tulsi and aloe vera gel, can be blended into your strained liquid ferment to increase health benefits. Kombucha can actually contain small amounts of alcohol, so beware of that if you are trying to avoid consuming it, even in small quantities. The level of alcohol depends on a number of factors, but is commonly reported to be between 0.5-1% total alcohol content, but can get up to 3% in some cases. Shorter ferments are known to contain more alcohol than mature ones. Also, if you decide to add more sugar at the end, and let it sit in an air-locked bottle or jar, this will also increase the alcohol percentage, which may average above 1% levels. Kombucha generally takes between 7-10 days, depending on the average daytime temperature. Hotter climates will ferment faster than cooler ones. 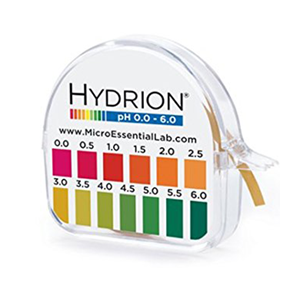 Fermentation works best between 70-85°F (21-30°C) with acceptable lower nighttime temperatures. However, the length of the fermentation time really depends on your own personal taste preferences. 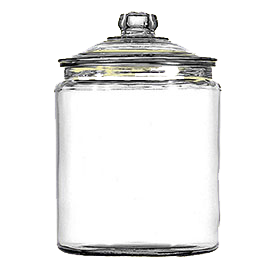 Shorter ferments are sweeter and less acidic than longer ones. Usually most people enjoy it slightly acidic with a soured vinegar-like flavor but not overly so. 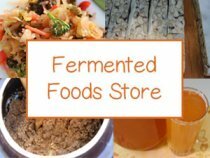 Mature ferments also have more enzyme activity, gluconic acid, glucuronic acid and probiotic content. We normally like to culture ours for at least 10 days. This recipe requires 1 1/2C of "active kombucha." This is the liquid of mature kombucha, which can be obtained from raw non-pasteurized active commercial varieties OR from a fermented homemade kombucha. 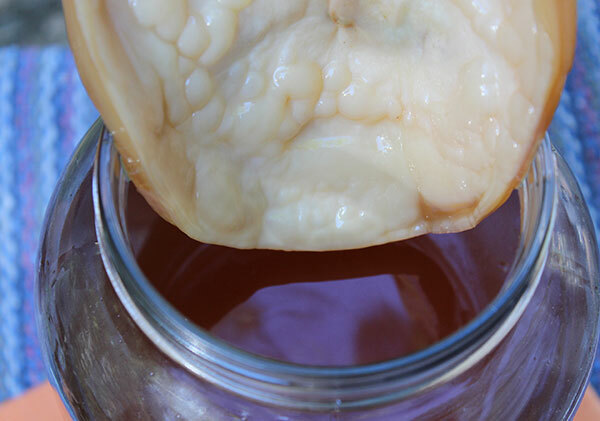 Visit our how to make a kombucha scoby page for more details. Of course, it is easier if you can obtain a "mother mushroom" culture, but if not, you can always make your own. This is achieved by simply adding a whole bottle (16oz) of active non-pasteurized commercial kombucha to the base recipe above. It will soon begin to form a thin film and eventually a gelatinous layer, about 1/4-1/2 inch thick, over a period of time. 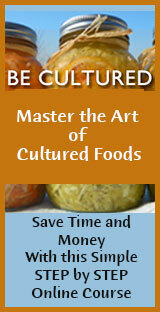 This you can use as a mother culture which will continue to reproduce after every batch you make. Simply peel the top layer from the bottom and each can be reused to start another batch. The bottom layer is considered to be the "mother" and the top layer is its baby. It is important to prepare your liquid in a clean environment using sanitized equipment that has been pre-washed in hot soapy water. 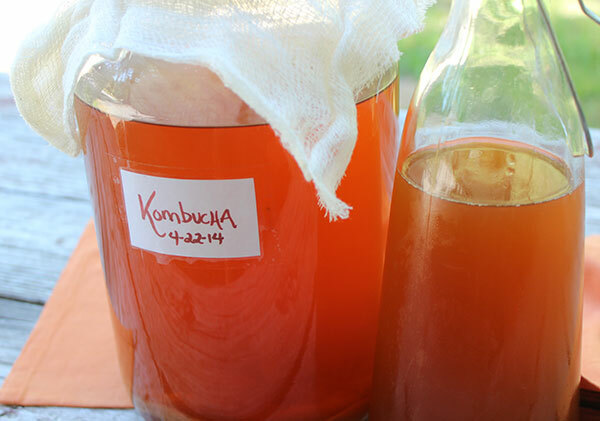 This kombucha recipe will make a little less than 1 gallon. Boil 3 1/2 quarts of filtered water in a big pot. Turn off heat and add tea and let steep with lid on for 15 minutes. Add sugar and stir to dissolve and let cool until room temperature or warm to touch. 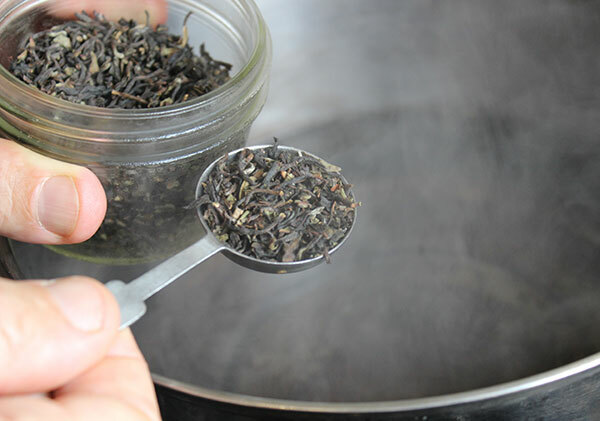 Strain your tea leaves through a fine mesh strainer into a gallon glass jar. Add active kombucha liquid to the tea mixture. Place your scoby culture on top of the liquid (opaque side up). It may float for a bit, but usually falls to the bottom and surfaces a few days later, creating a seal around the liquid tea. 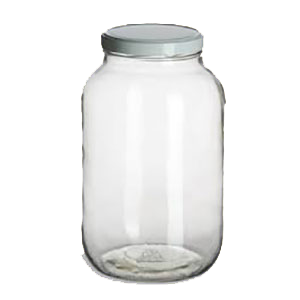 Use a loose lid or breathable clean cloth, secured with a rubberband or string. Allow to ferment about 10 days, depending on how you like it, in a pantry or counter-top out of direct sunlight. Test your kombucha recipe after a week to 10 days. Sometimes it can take as long as 2 weeks when temperatures are below 70°F (21°C). If it is too sweet, it has not completely fermented. If it is too "vinegary" or sour, it has gone too long. Mature slightly sweet yet pleasantly sour kombucha is the best to drink for maximum health benefits. Individuals with sensitivities to alcohol, even in small quantities, should avoid consuming. 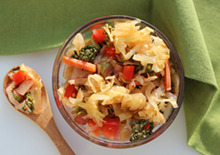 It is important to consider eliminating the use of fermented foods and drinks if you have severe allergies to molds.